Market remained a picture of cautiousness today after the Sensex slipped 66 points to close at 26,777 as investors were on edge ahead of RBI’s policy meet tomorrow and a string of upcoming events this month carrying an element of uncertainty. 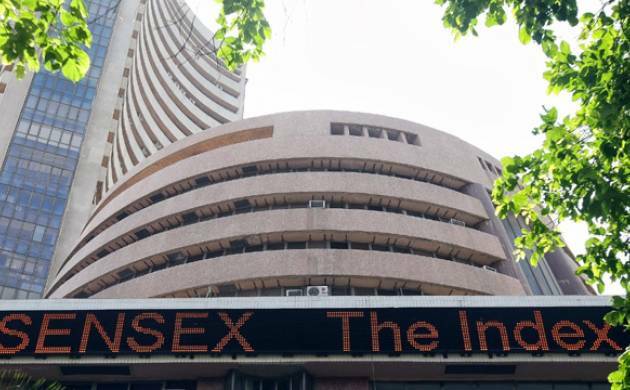 Market remained a picture of cautiousness today after the Sensex slipped 66 points to close at 26,777 as investors were on edge ahead of RBI’s policy meet tomorrow and a string of upcoming events this month carrying an element of uncertainty. IT, consumer durables, healthcare and oil and gas stocks cut a sorry figure as investors preferred to stay light on positions ahead of the RBI review. To be sure, Sensex was off to a better start and advanced on optimistic buying amid foreign fund inflows. But profit-booking set in soon after as the index ended down 65.58 points, or 0.24 per cent, at 26,777.45. The gauge had shed 0.11 point during Friday’s choppy trade. Sentiment turned somewhat cautious as a majority of investors expect that the RBI Governor Raghuram Rajan will maintain status quo and hold rates steady in Tuesday’s bi-monthly monetary policy meet, after an impressive 7.6 per cent GDP growth in 2015-16, brokers said. The broader NSE Nifty snapped its three-day winning run by falling 19.75 points, or 0.24 per cent, to close at 8,201.05 after gyrating between 8,234.70 and 8,186.05. There were also lingering worries about the outcome of the impending US Federal Reserve meet and uncertainty about a Brexit—the likelihood of Britain leaving the European Union. But the silver lining was recently-released upbeat GDP numbers and retention of the above-normal monsoon forecast, which capped the losses a bit. From the IT space, TCS and Wipro counters saw some selling pressure and fell up to 0.83 per cent after the dollar weakened against the rupee. About 60 per cent revenue of software exporters’ comes in the form of the US dollar. Out of the 30-share Sensex, 21 scrips ended lower. Those which lost were Bharti Airtel (2.62 per cent), Lupin (2.08 per cent), Maruti Suzuki (2.01 per cent), Sun Pharma (1.67 per cent), Axis Bank (1.60 per cent), Hero MotoCorp (1.42 per cent) and Coal India (1 per cent). However, Tata Motors, M&M, GAIL, Cipla, ITC and BHEL rose by up to 1.51 per cent. Stocks of engineering major L&T ended 0.49 per cent higher at Rs 1,468.10 after the company said its construction arm has won orders worth Rs 2,161 crore. Shares of state-owned banks such as Oriental Bank of Commerce, Punjab National Bank, SBI, Allahabad Bank and Andhra Bank were lapped up too, which rose by up to 2.85 per cent after Finance Minister Arun Jaitley said lenders will be empowered and protected for “commercially prudent” settlement of bad debt. Meanwhile, foreign portfolio investors (FPIs) bought shares worth a net Rs 1,585.01 crore last Friday, as per provisional data released by the stock exchanges. Sector-wise, BSE consumer durables index fell the most by tumbling 1.39 per cent, followed by healthcare, technology, oil and gas and IT. The broader markets, however, threw up a mixed trend, with the mid-cap index falling 0.09 per cent and small-cap rising 0.22 per cent. Other Asian shares ended mixed as key indices like Japan’s Nikkei fell by 0.37 per cent and Shanghai Composite shed 0.16 per cent while Hong Kong’s Hang Seng gained 0.40 per cent. European stocks were trading mixed, with FTSE rising 0.72 per cent and Paris’ CAC dropping 0.10 per cent in early trade.